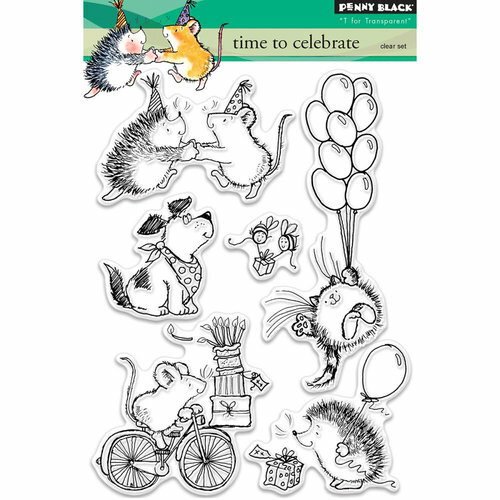 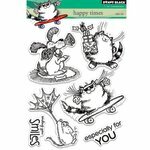 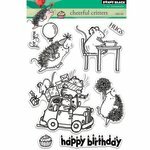 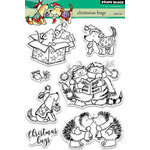 These cute little critters want to spread cheer through your hand-made cards using the Time to Celebrate Clear Photopolymer Stamp Set! 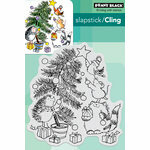 This set can be used with an acrylic block and your favorite inks sold separately. 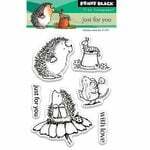 The package includes six stamps by Penny Black that range in size from 1.25" x 1" to 1.825" x 4.75". 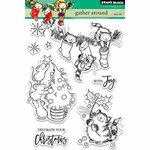 These stamps come on a 5" x 6.5" storage sheet.